Should i cycle the top 70 Breweries In The USA? There are a total of 70 breweries on the map (1,414 if you choose to make pitstops at others along the way). 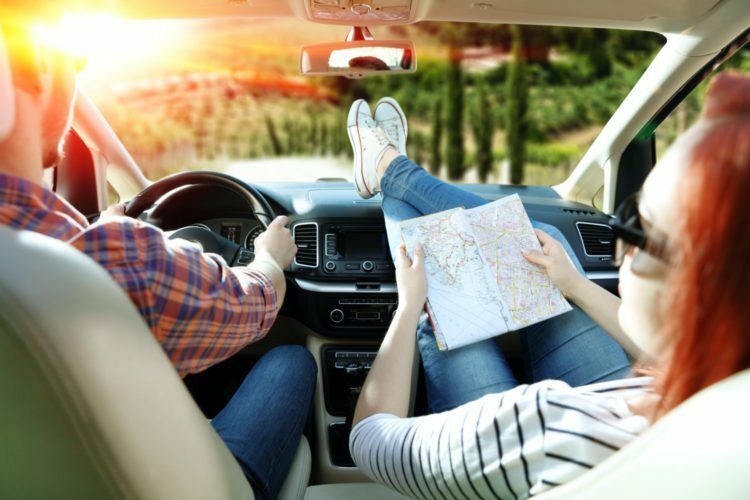 To make the trip you’d have to stop in 28 states—though you’d be passing through 40 out of 52!—and drive over 12,000 miles. You probably won’t be surprised to find clusters of craft breweries in locations along the East Coast, Midwest, Colorado and California. 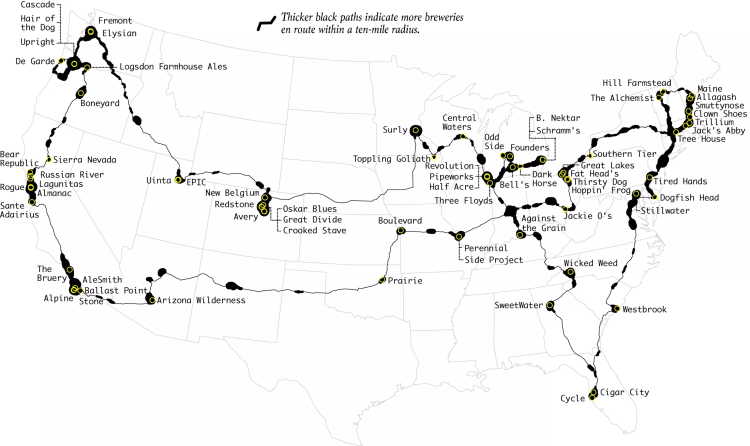 But the beauty of this craft brewery road trip is it can take you from coast to coast with stops in places like Asheville, North Carolina, home of Wicked Weed beer, and Bell’s Brewery in Kalamazoo, Michigan to Oklahoma for a pint from Prairie Artisan Ales. You’ll definitely recognize some of the brewery names on this list, including Sierra Nevada, Smuttynose, Dogfish Head (which even has its own inn) and New Belgium. Visiting the breweries where they’re made means not only getting to taste your favorites but to try new and limited-batch brews as well. Plus, if you’ve ever visited a brewery that has a restaurant, you know the food’s often as good as the beer! Flowing Data estimates it would take about 20 days to sample the beer at all the top breweries—with 8 of those days dedicated to driving time. If you did this in one fell swoop, it’s likely you and your liver may need a break at the end of this suds-filled road trip. Check out the map below, and for more details on how they came up with their route, checkout the full article. Here’s a different kind of road trip that hit all 48 contiguous U.S. state, plus every planned stop hits a National Landmark, Historic Site, National Park or National Monument. Check it out! If National Parks are more your speed than craft brews, this one travels through all 47 national parks in the continental U.S. and will take you two months to complete. But hey, if you’ve got plenty of vacation time saved up—why not? The route is just under 14,500 miles, and this “Optimal U.S. National Parks Centennial Road Trip Map” was designed to commemorate the 100th birthday of the National Park Service in August 2016. The map was created by Randal Olson, a researcher at the University of Pennsylvania. 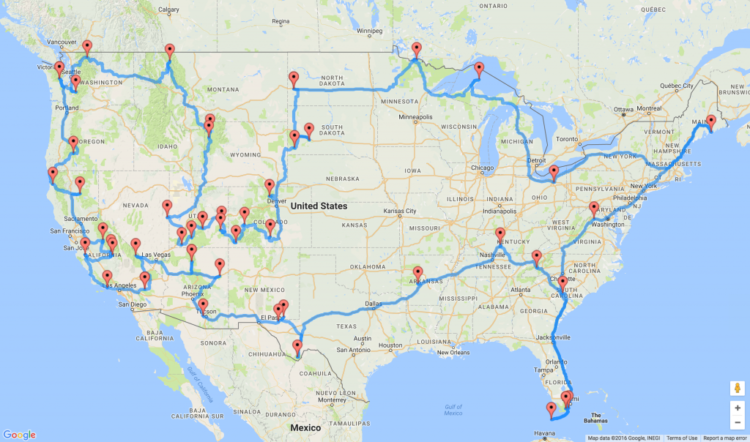 He had a little help from the Traveling Salesman Problem, which calculates the shortest route you can take to hit up a number of different cities before ending up back where you started.